Washing clothes at the Dhobi ghats, Bombay, India. The dhobi is a traditional laundryman, who collects your dirty linen, washes it, and returns it neatly pressed to your doorstep. 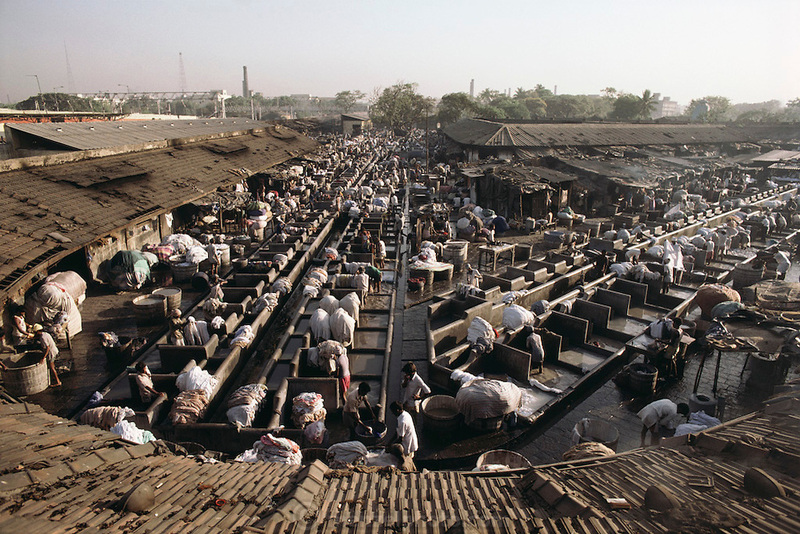 The "laundries" are called "ghats": row upon row of concrete washtubs..